When Henry VIII broke with the Roman Catholic Church and was excommunicated, he formed a new Church of England, which would be headed by the monarch (himself) rather than the pope. At this point, he needed to determine what its doctrines and practices would be in relation to the Roman Catholic Church and the new Protestant movements in continental Europe. 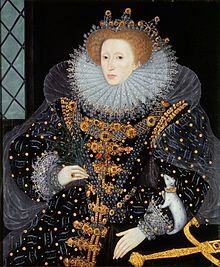 A series of defining documents were written and replaced over a period of 30 years as the doctrinal and political situation changed from the excommunication of Henry VIII in 1533, to the excommunication of Elizabeth I in 1570. These positions began with the Ten Articles in 1536, and concluded with the finalisation of the Thirty-nine articles in 1571. The Thirty-nine articles ultimately served to define the doctrine of the Church of England as it related to Calvinist doctrine and Roman Catholic practice. The articles went through at least five major revisions prior to their finalisation in 1571. The first attempt was the Ten Articles in 1536, which showed some slightly Protestant leanings – the result of an English desire for a political alliance with the German Lutheran princes. The next revision was the Six Articles in 1539 which swung away from all reformed positions, and then the King's Book in 1543, which re-established most of the earlier Roman Catholic doctrines. During the reign of Edward VI, Henry VIII's only son, the Forty-two Articles were written under the direction of Archbishop Thomas Cranmer in 1552. It was in this document that Calvinist thought reached the zenith of its influence in the English Church. These articles were never put into action, due to Edward VI's death and the reversion of the English Church to Roman Catholicism under Henry VIII's elder daughter, Mary I. Finally, upon the coronation of Elizabeth I and the re-establishment of the Church of England as separate from the Roman Catholic Church, the Thirty-nine Articles of Religion were initiated by the Convocation of 1563, under the direction of Matthew Parker, the Archbishop of Canterbury. The articles pulled back from some of the more extreme Calvinist thinking and created the peculiar English reformed doctrine. The Thirty-nine Articles were finalised in 1571, and incorporated into the Book of Common Prayer. Although not the end of the struggle between Catholic and Protestant monarchs and citizens, the book helped to standardise the English language, and was to have a lasting effect on religion in the United Kingdom, and elsewhere through its wide use. The Church of England's break with Rome inaugurated a period of doctrinal confusion and controversy as both conservative and reforming clergy attempted to shape the church's direction, the former as "Catholicism without the Pope" and the latter as Protestant. In an attempt "to establish Christian quietness and unity", the Ten Articles were adopted by clerical Convocation in July 1536 as the English Church's first post-papal doctrinal statement. The Ten Articles were crafted as a rushed interim compromise between conservatives and reformers. Historians have variously described it as a victory for Lutheranism and a success for Catholic resistance. Its provisions have also been described as "confusing". The first five articles dealt with doctrines that were "commanded expressly by God, and are necessary to our salvation", while the last five articles dealt with "laudable ceremonies used in the Church". This division reflects how the Articles originated from two different discussions earlier in the year. The first five articles were based on the Wittenberg Articles negotiated between English ambassadors Edward Foxe, Nicholas Heath and Robert Barnes and German Lutheran theologians, including Martin Luther and Philip Melanchthon. This doctrinal statement was itself based on the Augsburg Confession of 1530. The five principal doctrines were the Bible and ecumenical creeds, baptism, penance, the Eucharist and justification. The core doctrine in the Ten Articles was justification by faith. Justification – which was defined as remission of sin and accepting into God's favour – was through "the only mercy and grace of the Father, promised freely unto us for his Son’s sake Jesus Christ, and the merits of his blood and passion". Good works would follow, not precede, justification. However, the Lutheran influence was diluted with qualifications. Justification was attained "by contrition and faith joined with charity". In other words, good works were "necessarily required to the attaining of everlasting life". To the disappointment of conservatives, only three of the traditional seven sacraments were even mentioned (baptism, the Eucharist and penance). The Articles affirm the real presence of Christ in the Eucharist, stating that "under the form and figure of bread and wine ... is verily, substantially and really contained the very self-same body and blood of our Lord Jesus Christ". This definition was acceptable to those who held to transubstantiation or sacramental union, but it clearly condemned sacramentarianism. More controversially for the reformers, the Articles maintained penance as a sacrament and the priest's authority to grant divine absolution in confession. Articles six through ten focused on secondary issues. Significantly, purgatory, which had been a central concern of medieval religion, was placed in the non-essential articles. On the question of its existence, the Ten Articles were ambiguous. It stated, "the place where [departed souls] be, the name thereof, and kind of pains there" was "uncertain by scripture". Prayer for the dead and masses for the dead were permitted as possibly relieving the pain of departed souls in purgatory. The Articles also defended the use of a number of Catholic rituals and practices opposed by Protestants, such as kissing the cross on Good Friday, while mildly criticizing popular abuses and excesses. The use of religious images was permitted, but people were to be taught not to kneel before them or make offerings to them. Prayer to Mary, mother of Jesus, and all the other saints was permitted as long as superstition was avoided. The Bible and the three ecumenical creeds are the basis and summary of true Christian faith. Baptism imparts remission of sins and regeneration and is necessary for salvation, even in the case of infants. It condemns the opinions of Anabaptists and Pelagians as heresy. The sacrament of penance, with confession and absolution, is necessary to salvation. That the body and blood of Christ are really present in the Eucharist. Justification is by faith, but good works are necessary. Images can be used as representations of virtue and good example and also to remind people of their sins but are not objects of worship. Saints are to be honored as examples of life and as furthering the prayers of the faithful. Praying to saints is permitted, and holy days should be observed. The observance of various rites and ceremonies, such as clerical vestments, sprinkling of holy water, bearing of candles on Candlemas, giving of ashes on Ash Wednesday, is good and laudable. However, none of these has power to forgive sin. It is a good and charitable deed to pray for the dead. However, the doctrine of purgatory is biblically uncertain. Abuses related to purgatory, such as the claim that papal indulgences or masses for the dead offered at certain localities (such as the scala coeli mass) can deliver immediately from purgatory, are to be rejected. The failure of the Ten Articles to settle doctrinal controversy led Thomas Cromwell, the King's vicegerent in spirituals, to convene a national synod of bishops and high-ranking clergy for further theological discussion in February 1537. This synod produced a book called The Institution of the Christian Man (popularly called The Bishops' Book), the word institution being synonymous with instruction. The Bishops' Book preserved the semi-Lutheranism of the Ten Articles, and the articles on justification, purgatory, and the sacraments of baptism, the Eucharist and penance were incorporated unchanged into the new book. When the synod met, conservatives were still angry that four of the traditional seven sacraments (confirmation, marriage, holy orders and extreme unction) had been excluded from the Ten Articles. John Stokesley argued for all seven, while Thomas Cranmer only acknowledged baptism and the Eucharist. The others divided along party lines. The conservatives were at a disadvantage because they found it necessary to appeal to sacred tradition, which violated Cromwell's instructions that all arguments refer to scripture. In the end, the missing sacraments were restored but placed in a separate section to emphasize "a difference in dignity and necessity." Only baptism, the Eucharist and penance were "instituted of Christ, to be as certain instruments or remedies necessary for our salvation". Confirmation was declared to have been introduced by the early Church in imitation of what they had read about the practice of the Apostles. The Bishops' Book also included expositions on the creed, the Ten Commandments, the Lord's Prayer and Hail Mary. These were greatly influenced by William Marshall's primer (lay devotional book) of 1535, which itself was influenced by Luther's writings. Following Marshall, The Bishops' Book rejected the traditional Catholic numbering of the Ten Commandments, in which the prohibition on making and worshiping graven images was part of the first commandment, "Thou shalt have no other gods before me". In agreement with the Eastern Orthodox and Huldrych Zwingli's church at Zurich, the authors of the Bishops' Book adopted the Jewish tradition of separating these commandments. While allowing images of Christ and the saints, the exposition on the second commandment taught against representations of God the Father and criticised those who "be more ready with their substance to deck dead images gorgeously and gloriously, than with the same to help poor Christian people, the quick and lively images of God". Such teachings encouraged iconoclasm, which would become a feature of the English Reformation. In August 1537, it was presented to the King who ordered that parts should be read from the pulpit every Sunday and feast day. Nevertheless, the King was not entirely satisfied and took it upon himself to make a revised Bishops' Book, which, among other proposed changes, weakened the original's emphasis on justification by faith. This revised version was never published, but the Bishops' Book would later be replaced with the King's Book. Fearful of diplomatic isolation and a Catholic alliance, Henry VIII continued his outreach to the Lutheran Schmalkaldic League. In May 1538, three Lutheran theologians from Germany – Franz Burchard, vice-chancellor of Saxony; Georg von Boineburg, doctor of law; and Friedrich Myconius, superintendent of the church in Gotha – arrived in London and held conferences with English bishops and clergy at the archbishop's Lambeth Palace through September. The Germans presented, as a basis of agreement, a number of articles based on the Lutheran Confession of Augsburg. Bishops Tunstall, Stokesley and others were not won over by these Protestant arguments and did everything they could to avoid agreement. They were willing to separate from Rome, but their plan was to unite with the Greek Church and not with the Protestants on the continent. The bishops also refused to eliminate what the Germans considered abuses (e.g. private masses for the dead, compulsory clerical celibacy, and withholding communion wine from the laity) allowed by the English Church. Stokesley considered these customs to be essential because the Greek Church practised them. As the King was unwilling to break with these practices, the Germans had all left England by October 1.
whether auricular confession (that is, confession to a priest) was necessary as part of divine law? Over the next month, these questions were argued in Parliament and Convocation with the active participation of the King. The final product was an affirmation of traditional teachings on all questions. Communion in one kind, compulsory clerical celibacy, vows of chastity and votive masses were acceptable by divine law. Protestants achieved a minor victory on auricular confession, which was declared "expedient and necessary to be retained" but not required by divine law. In addition, although the real presence was affirmed in traditional terminology, the word transubstantiation itself did not appear in the final version. The Act of Six Articles became law in June 1539, which, unlike the Ten Articles, gave the Six Articles statutory authority. Harsh penalties were attached to violations of the Articles. Denial of transubstantiation was punished by burning without an opportunity to recant. Denial of any of the other articles was punished by hanging or life imprisonment. Married priests had until 12 July to put away their wives, which was likely a concession granted to give Archbishop Cranmer time to move his wife and children outside of England. After the act's passage, bishops Latimer and Shaxton, outspoken opponents of the measure, were forced to resign their dioceses. The Act of Six Articles was repealed in 1547 during the reign of Henry's son, Edward VI. When Parliament re-convened in April 1540, a committee was formed to revise the Bishops' Book, which Henry VIII had never liked. The committee's membership included both traditionalists and reformers, but the former held the majority. Convocation began discussing the revised text in April 1543. The King's Book, or The Necessary Doctrine and Erudition for Any Christian Man to use its formal title, was more traditional than the 1537 version and incorporated many of the King's own revisions. It was approved by a special meeting of the nobility on 6 May and differed from the Bishop's Book in having been issued under the King's authority. It was also statutorily enforced by the Act for the Advancement of True Religion. Significantly, the doctrine of justification by faith was totally rejected. Cranmer tried to save the doctrine by arguing that while true faith was accompanied by good works (in other words, faith was not alone) it was only faith that justified. However, Henry would not be persuaded, and the text was amended to read that faith justified "neither only nor alone". It also stated that each person had free will to be "a worker ... in the attaining of his own justification". The King's Book also endorsed traditional views of the mass, transubstantiation, confession, and Church ceremonies. The traditional seven sacraments were all included without any distinction in importance made between them. It was taught that the second commandment did not forbid images but only "godly honour" being given to them. Looking at images of Christ and the saints "provoked, kindled and stirred to yield thanks to Our Lord". The one area in which the King's Book moved away from traditional teaching was on prayer for the dead and purgatory. It taught that no one could know whether prayers or masses for the dead benefited an individual soul, and it was better to offer prayers for "the universal congregation of Christian people, quick and dead". People were encouraged to "abstain from the name of purgatory, and no more dispute or reason thereof". Presumably, the hostility towards purgatory derived from its connection to papal authority. The King's own behavior sent mixed signals. In 1540, he allowed offerings for the souls of deceased Knights of the Garter to be spent on works of charity instead of masses. At the same time, however, he required the new cathedral foundations to pray for the soul of Queen Jane. Perhaps due to the uncertainty surrounding this doctrine, bequests in wills for chantries, obits and masses fell by half what they had been in the 1520s. The Forty-two Articles were intended to summarise Anglican doctrine, as it now existed under the reign of Edward VI, who favoured a Protestant faith. Largely the work of Thomas Cranmer, they were to be short formularies that would demonstrate the faith revealed in Scripture and the existing ecumenical creeds. Completed in 1552, they were issued by Royal Mandate on 19 June 1553. The articles were claimed to have received the authority of a Convocation, although this is doubtful. With the coronation of Mary I and the reunion of the Church of England with the Catholic Church, the Articles were never enforced. However, after Mary's death, they became the basis of the Thirty-nine Articles. In 1563, Convocation met under Archbishop Parker to revise the articles. Convocation passed only 39 of the 42, and Elizabeth reduced the number to 38 by throwing out Article XXIX to avoid offending her subjects with Catholic leanings. In 1571, the Article XXIX, despite the opposition of Bishop Edmund Gheast, was inserted, to the effect that the wicked do not eat the Body of Christ. This was done following the queen's excommunication by the Pope Pius V in 1570. That act destroyed any hope of reconciliation with Rome and it was no longer necessary to fear that Article XXIX would offend Catholic sensibilities. The Articles, increased to Thirty-nine, were ratified by the Queen, and the bishops and clergy were required to assent. The Thirty-nine Articles were not intended as a complete statement of the Christian faith, but of the position of the Church of England in relation to the Catholic Church and dissident Protestants. The Articles argue against some Anabaptist positions such as the holding of goods in common and the necessity of believer's baptism. The motivation for their production and enactment was the absence of a general consensus on matters of faith following the separation from Rome. There was a concern that dissenters who wanted the reforms to go much further (for example, to abolish the three-fold ministry by eliminating bishops) would increase in influence. Wishing to pursue Elizabeth's agenda of establishing a national church that would maintain the indigenous apostolic faith and incorporate some of the insights of Protestantism, the Articles were intended to incorporate a balance of theology and doctrine. This allowed them to appeal to the broadest domestic opinion, Catholic and otherwise. In this sense, the Articles are a revealing window into the ethos and character of Anglicanism, in particular in the way the document works to navigate a via media ("middle path") between the beliefs and practices of the Lutheran and of the Reformed churches, thus lending the Church of England a mainstream Reformed air. The "via media" was expressed so adroitly in the Articles that some Anglican scholars have labelled their content as an early example of the idea that the doctrine of Anglicanism is one of "Reformed Catholicism". The Articles therefore state that there are only two sacraments – baptism and communion – they reject the idea of transsubstantiation and clerical celibacy as well the idea of purgatory and the possibility of indulgences. The Articles highlight the Anglican positions with regard to orthodox Catholic teachings, to Puritanism, and to Anabaptist thought. They are divided, in compliance with the command of Queen Elizabeth, into four sections: Articles 1–8, "The Catholic Faith"; Articles 9–18, "Personal Religion"; Articles 19–31, "Corporate Religion"; and Articles 32–39, "Miscellaneous." The articles were issued both in English and in Latin, and both are of equal authority. Articles IX–XVIII: The Protestant and Reformed Articles: These articles dwell on the topics of sin, justification, and the eternal disposition of the soul. Of particular focus is the major Reformation topic of justification by faith. Articles XXXII–XXXIX: Miscellaneous: These articles concern clerical celibacy, excommunication, traditions of the Church, and other issues not covered elsewhere. Article XXXVII additionally states among other things that the Bishop of Rome has no jurisdiction in the realm of England. In 1628 Charles I prefixed a royal declaration to the articles, which demands a literal interpretation of them, threatening discipline for academics or churchmen teaching any personal interpretations or encouraging debate about them. It states: "no man hereafter shall either print or preach, to draw the Article aside any way, but shall submit to it in the plain and Full meaning thereof: and shall not put his own sense or comment to be the meaning of the Article, but shall take it in the literal and grammatical sense." Some of them are the very same that are contained in the Creed; some others of them are practical truths, which come not within the proper list of points or articles to be believed; lastly, some of them are pious opinions or inferior truths, which are proposed by the Church of England to all her sons, as not to be opposed; not as essentials of Faith necessary to be believed by all Christians necessitate medii, under pain of damnation. This divergence of opinion became overt during the Oxford Movement of the 19th century. The stipulations of Articles XXV and XXVIII were regularly invoked by evangelicals to oppose the reintroduction of certain beliefs, customs, and acts of piety with respect to the sacraments. In response, John Henry Newman's Tract 90 attempted to show that the 39 Articles could be read according to an Anglo-Catholic interpretation. Adherence to the Articles was made a legal requirement by the English Parliament in 1571. They are printed in the Book of Common Prayer and other Anglican prayer books. The Test Act of 1672 made adherence to the Articles a requirement for holding civil office in England until its repeal in 1828. Students at Oxford University were still expected to sign up to them until the passing of the Oxford University Act 1854. The influence of the Articles on Anglican thought, doctrine and practice has been profound. Although Article VIII itself states that the three Catholic creeds are a sufficient statement of faith, the Articles have often been perceived as the nearest thing to a supplementary confession of faith possessed by the Anglican tradition. A revised version was adopted in 1801 by the US Episcopal Church which deleted the Athanasian Creed. Earlier, John Wesley, founder of the Methodists, adapted the Thirty-nine Articles for use by American Methodists in the 18th century. The resulting Articles of Religion remain official United Methodist doctrine. ^ a b Marshall 2017, p. 238. ^ a b c d e Marshall 2017, p. 239. ^ a b c d MacCulloch 1996, p. 161. ^ Marshall 2017, p. 240. ^ Marshall 2017, pp. 238–239. ^ "Ten Articles 1536". reformationhenryviii.com. Archived from the original on 3 August 2018. Retrieved 3 August 2018. ^ MacCulloch 1996, pp. 185–186. ^ Blunt 1878, p. 444. ^ Marshall 2017, p. 255. ^ MacCulloch 1996, pp. 187–188. ^ Marshall 2017, p. 254. ^ MacCulloch 1996, p. 189. ^ Blunt 1878, p. 446. ^ a b Marshall 2017, p. 256. ^ MacCulloch 1996, p. 192. ^ Blunt 1878, p. 445. ^ Marshall 2017, pp. 257–258: "Most notoriously, [Henry VIII] took it upon himself to improve the wording of both the Ten Commandments and the Lord’s Prayer. He wanted the final petition of the latter to read 'and suffer us not to be led into temptation' (rather than 'lead us not into temptation'). And he amended the First Commandment ('Thou shalt have none other gods but me') to read 'Thou shalt not have nor repute any other God, or gods, but me Jesu Christ.'" ^ Marshall 2017, p. 259. ^ MacCulloch 1996, p. 215–216: The English delegation included Cranmer, as chairman, and Nicholas Heath for the Protestant side. The conservatives included Bishops Sampson and Stokesley along with George Day and Nicholas Wilson. Bishop Tunstall was involved in negotiations as well. ^ MacCulloch 1996, p. 219. ^ MacCulloch 1996, p. 221. ^ Marshall 2017, pp. 269–270. ^ Marshall 2017, p. 273: The committee was headed by Cromwell, the vicegerent, and the bishops included Cranmer and his Protestant allies — Latimer, Goodrich, Salcot — and their traditionalist counterparts Lee, Tunstall, Clerk and Robert Aldrich of Carlisle. ^ a b Marshall 2017, p. 275. ^ Ridley 2013, p. 180. ^ "The Act of the Six Articles". tudorplace.com.ar. 1539. Archived from the original on 12 September 2018. Retrieved 1 December 2018. . The article on the Eucharist defines the real presence in these terms: "First, that in the most blessed Sacrament of the Altar, by the strength and efficacy of Christ's mighty word, it being spoken by the priest, is present really, under the form of bread and wine, the natural body and blood of Our Saviour Jesu Christ, conceived of the Virgin Mary, and that after the consecration there remaineth no substance of bread and wine, nor any other substance but the substance of Christ, God and man". ^ MacCulloch 1996, p. 249. ^ MacCulloch 1996, p. 251. ^ Marshall 2017, p. 312. ^ Marshall 2017, p. 279. ^ Marshall 2017, p. 288. ^ Marshall 2017, pp. 288–289. ^ a b Marshall 2017, p. 289. ^ a b Wilson & Templeton 1962. ^ Bramhall 1842, p. 355. Blunt, John Henry (1878). The Reformation of the Church of England: Its History, Principles and Results. Part 1 AD 1514–1547 (4th ed.). London, Oxford, and Cambridge: Rivingtons. Bramhall, John (1842). "Schism Guarded". The Works of Archbishop Bramhall. Vol. 2. Oxford: J.H. Parker. Bray, Gerald Lewis (2004). Documents of the English Reformation 1526-1701. James Clarke & Co. ISBN 978-0-227-17239-1. Brown, Stephen F. (2009). Protestantism. New York: Chelsea House. ISBN 978-1-60413-112-3. Chadwick, Henry (1988). "Tradition, Fathers, and Councils". In Sykes, Stephen; Booty, John E. (eds.). The Study of Anglicanism. London: SPCK/Fortress Press. ISBN 978-0-8006-2087-5. Chapman, Mark (2006). Anglicanism: A Very Short Introduction. Oxford: OUP. ISBN 978-0-19-157819-9. Cross, Frank Leslie; Livingstone, Elizabeth A., eds. (1997). The Oxford Dictionary of the Christian Church (3rd ed.). Oxford University Press. ISBN 978-0-19-211655-0. D'Aubigné, J. H. Merle (1972). The Reformation in England. Volume 2 Book 3. Edinburgh: Banner of Truth Trust. ISBN 978-0-85151-487-1. Guy, John (1990). Tudor England. Oxford: OUP. ISBN 978-0-19-285213-7. Haigh, Christopher (1993). English Reformations: Religion, Politics, and Society Under the Tudors. Clarendon Press. ISBN 0198221622. MacCulloch, Diarmaid, ed. (1999). The Book of Common Prayer: 1662 Version (includes Appendices from the 1549 Version and Other Commemorations). Issue 241 of Everyman's library. David Campbell Publishers. ISBN 978-1-85715-241-8 – via Church of England. Mackie, J. D. (1994). The Earlier Tudors, 1485–1558. Oxford Paperbacks. ISBN 0-19-285292-2. Moyes, James (1913). "Anglicanism" . In Herbermann, Charles (ed.). Catholic Encyclopedia. New York: Robert Appleton Company. Newman, John Henry (1841). Remarks on Certain Passages in the Thirty-nine Articles. Tract No 90 of Tracts for the Times. J.G.F. & J. Rivington. Pierce, Chris (2003). "A Look across the Pond - A brief analysis of the status of the evangelical Anglicanism in the US and Canada" (PDF). Cross†way (89). Ridley, Jasper (2013) . Thomas Cranmer. Pan Macmillan. ISBN 978-1-4472-4128-7. OCLC 398369. Wilson, William Gilbert; Templeton, J. H. (1962). Anglican Teaching: An Exposition of the Thirty-nine Articles. Dublin: Association for Promoting Christian Knowledge. "Wittenberg Articles". Christian Cyclopedia. Concordia Publishing House. 2000. Retrieved 3 August 2018. Bicknell, Edward John (1955). A theological introduction to the Thirty-nine articles of the Church of England. London: Longmans. Denison, Edward (1835). A Review of the State of the Question respecting the Admission of Dissenters to the Universities . London: John Cochran. Douglas, Brian (2011). A Companion to Anglican Eucharistic Theology. Volume 1: The Reformation to the 19th Century. Leiden: Brill. pp. 234–246. ISBN 90-04-21930-7. Kirby, Torrance (2009). "The Articles of Religion of the Church of England (1563/71), commonly called the Thirty-Nine Articles.". In Mühling, Andreas; Opitz,, Peter (eds.). Reformierte Bekenntnisschriften. Band 2/1, 1559-1563. Neukirchen-Vluyn: Neukirchener Verlag. pp. 371–410. O'Donovan, Oliver (1986). On the Thirty nine Articles: a conversation with Tudor Christianity. Oxford: Latimer House – via Paternoster Press. Redworth, Glyn (2011). "A Study in the Formulation of Policy: The Genesis and Evolution of the Act of Six Articles". The Journal of Ecclesiastical History. 37 (01): 42–67. doi:10.1017/S0022046900031900. ISSN 0022-0469. Boultbee, Thomas Pownall (1877). A Commentary on the Thirty-nine Articles: Forming an Introduction to the Theology of the Church of England. Longmans. Gibson, Edgar Charles Sumner (1908). The Thirty-nine Articles of the Church of England Explained... Methuen & Company.